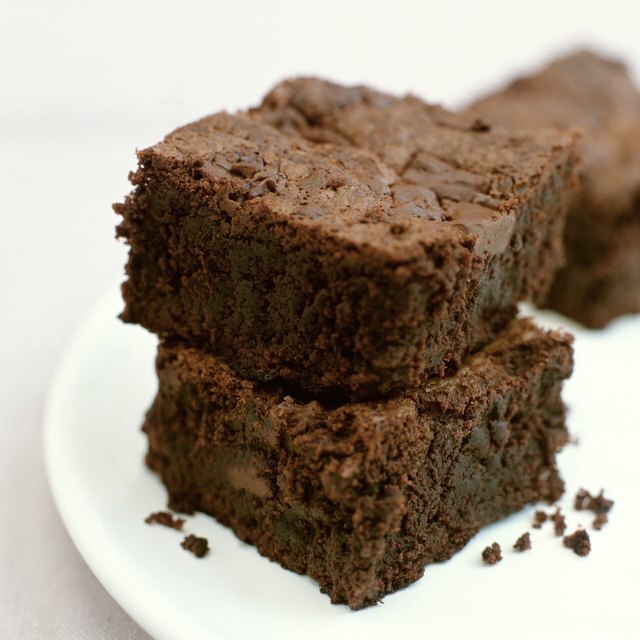 Substitute yogurt for butter in your brownie recipe. When baking brownies, one way to cut back on saturated fats such as butter is to substitute nonfat or low-fat plain yogurt. You may want to experiment and only replace half the amount of butter, as changes in recipes can affect the final outcome. 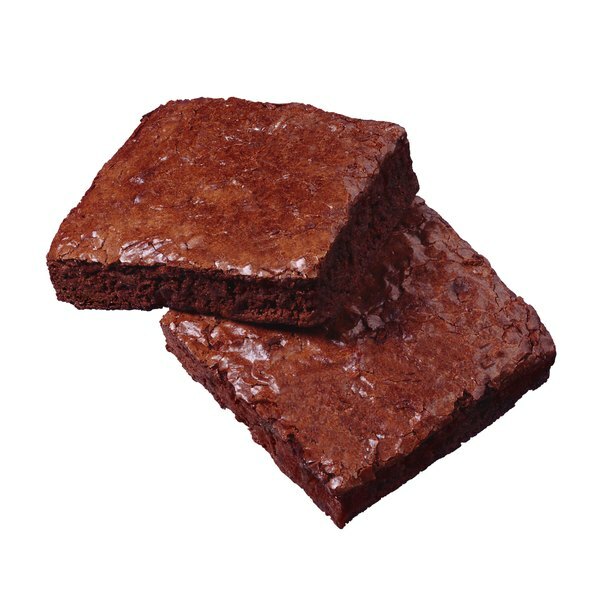 The brownies may have a coarser texture or be a little more gummy than what you are accustomed to. But the yogurt will help save some calories and fat content and still give you a chance to enjoy a chocolate brownie. Preheat the oven to the specified temperature on the box of brownies or recipe. Spray the pan with a nonstick spray. Follow the directions for the brownies, replacing 2 eggs and 1/2 cup of butter or oil with 1/2 cup of nonfat yogurt. As an alternative, replace 1/2 cup of butter or oil with 1/4 cup of butter and 3 tbsp. yogurt. Add the other ingredients and mix with a spoon until smooth. Do not use a mixer. Pour into the prepared pan. Place the pan in the center of the oven and set the timer for the required time. When done, check the brownies by inserting a toothpick in the center; if it comes out clean, they are done. Let the brownies cool for about 30 minutes before cutting. Two eggs contain 7.2 g of fat and 1/2 cup of butter contains 92 g of fat. Nonfat yogurt has 0.25 g fat per 1/2 cup serving. Low-fat plain yogurt contains approximately 2 g of fat per 1/2 cup serving. You can use applesauce in place of the yogurt. Do not try this with microwave brownie mixes or "light" brownie mixes. Deila Taylor received a bachelor's degree in biochemistry from Occidental College with graduate work towards a Ph.D. in pharmacology and nutrition at the Keck School of Medicine of the University of Southern California. Taylor has written for LoopLane, The Nutrition Counselor, Eve Out of the Garden and produces interviews for The Mormon Women Project. She is a member of the American Society for Nutrition. Can You Freeze Unbaked Brownie Mix?